On this episode Dr. Heidi interviews Rie Norregard, Managing Creative Director and host of Designing for Humanity. Rie is a Managing Creative Director at SYPartners, helping clients envision and build a future that’s made for all of us—and the best in us. Rie also hosts SYPartners' podcast, Designing for Humanity. Previously, Rie co-founded and was CEO of Omhu, and worked as a creative director at leading design firms, such as Smart Design, Organic, Quirky, and Frog Design. Outside of her role at SYPartners, Rie is an advisor to start-ups, and is a frequent speaker in the international design communities. Rie trained as a designer in Copenhagen, and lives in San Francisco with her family. 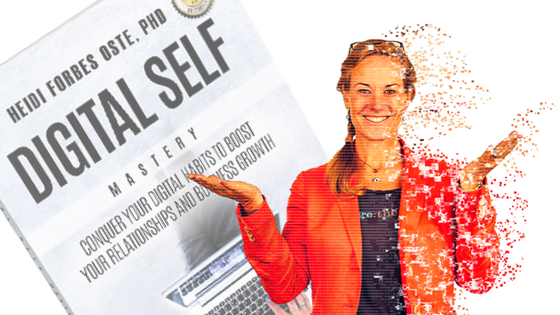 This episode is also celebrates the launch of Dr. Heidi Forbes Öste's, new #1 Bestselling book, Digital Self Mastery Across Generations, Print edition now available from all on-line booksellers, and for order in local book sellers internationally.